Top 100 Tech Companies in USA 2014 | BigTime is a finalist! BigTime is honored to have been named a finalist for the 2014 Top 100 Tech companies in USA (North America), a prestigious list of the year’s most innovative technology companies. Red Herring has been selecting the most exciting and promising start-ups and “scale ups” since 1995. Finalists are evaluated individually from a large pool of hundreds of candidates based across North America. You can see the “Top 100 tech companies in North America” list. 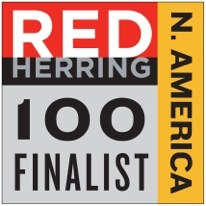 Finalist selections for the 2014 edition of the Red Herring 100 North America award are based upon technological innovation, management strength, market size, investor record, customer acquisition and financial health. Follow BigTime at twitter.com/bigtimesoftware and facebook.com/bigtimesoftware. Also, if you’d like to take BigTime for a FREE trial, go to our SIGN UP PAGE. BigTime was named a winner in the 2014 Awesome Application Awards at the 10th Annual Accounting Solutions Conference in Las Vegas earlier this month. The conference, held November 3-6 at Caesars Palace, was hosted by The Sleeter Group, a consulting group dedicated to finding the best accounting technology solutions to help small businesses work smarter, faster and more efficiently. Intuit CEO Brad Smith delivered the event’s keynote. 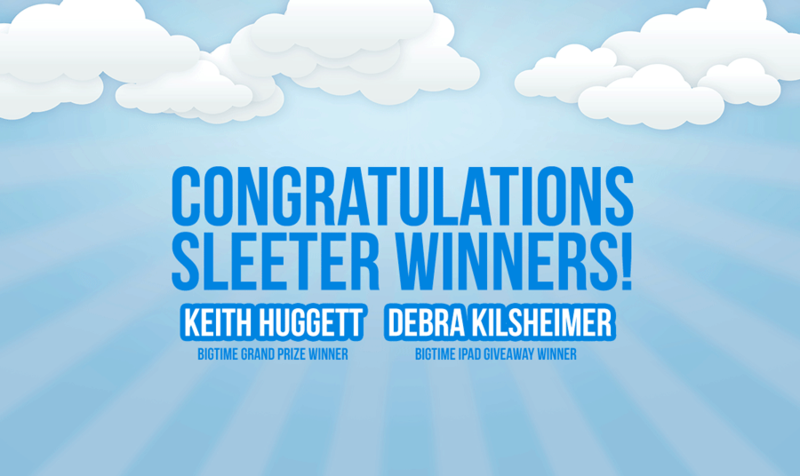 “BigTime stood out from the thousands of software solutions designed for small businesses because it helps solve a critical business process and integrates seamlessly with other small business management platforms,” says Doug Sleeter, founder and president of Sleeter Group, noting that BigTime was chosen by technology thought-leaders and public voting by users. Saunders, who spent a decade of consulting with small and mid-sized professional services firms to build one of the highest-rated time and billing systems on the Intuit Marketplace, created BigTime to work hand-in-hand with QuickBooks. The company previously announced an OEM licensing agreement with Intuit (NASDAQ: INTU), the maker of QuickBooks, and is the only time tracking app embedded within Intuit’s own practice management system. BigTime has been moving aggressively to expand its user base, launching a 20 percent price discount for new customers who sign up by Dec. 31, 2013. To secure the discount, users can simply visit bigtime.net and start a free 30-day trial, or call 1-866-BIG-TIME (866-244-8463). BigTime CEO to speak on the new wave of mobile apps at the Sleeter 2013. Brian Saunders, CEO of BigTime Software, Inc., a leading provider of cloud-based practice management tools and a market leader in QuickBooks integration, will present on the impact that next-generation mobile applications is having on the accounting industry at the 10th Annual Sleeter Accounting Solutions Conference next month. Saunders’ 75-minute session, called “Moving to Mobile: The Future of Time & Billing is Now”, will focus on how the ability to access pro-level practice management tools across mobile devices has become essential to operating effectively in today’s environment. Intuit president and CEO Brad Smith will be among the keynote speakers at this year’s conference. In 2014, mobile applications are forecast to be among the biggest software spending increases by decision-makers, according to Forrester Research’s annual report on IT spending. The pro-level BigTime Mobile app, launched in 2013, is part of the mobile solution revolution currently underway in the industry— and was hailed as a “game changer” in the press because of features that allow users to work online or offline and seamlessly integrate with phone and email. Saunders, who has spent almost a decade consulting with small and mid-sized professional services firms to build the highest-rated time & billing system on the Intuit Marketplace, created BigTime Software to work hand-in-hand with QuickBooks. BigTime is the only time tracking app embedded within Intuit’s own practice management system. The company previously announced an OEM licensing agreement with Intuit (NASDAQ: INTU). BigTime Mobile, available at the iTunes App Store, is free to current BigTime subscribers. For more features, screen shots and videos of the BigTime mobile app, visit bigtime.net/mobile. Congratulations to our BigTime iPad Giveaway winner, Debra Kilsheimer, owner of Behind the Scenes Financial Services – we hope she enjoys incorporating BigTime’s app into her accounting practice. Congratulations are also due to Keith Huggett, partner at The Tax Office, for winning the 2013 BigTime Grand Prize, a 2013 Conference pass and three nights hotel accommodations. We look forward to seeing Keith in Las Vegas in 2013. The BigTime team enjoyed interacting with some of the accounting industry’s most tech-savvy and engaged members at the Sleeter Conference. BigTime COO, Jake Matyas, led a hands-on discussion about new innovations in time, billing, and practice management. The audience’s thoughtful questions about BigTime 5.0 underscored the industry’s evolving need for user-friendly yet feature-rich business development solutions. We look forward to Sleeter 2013, and to continue to provide the accounting industry with the latest and best time and billing software on the market.